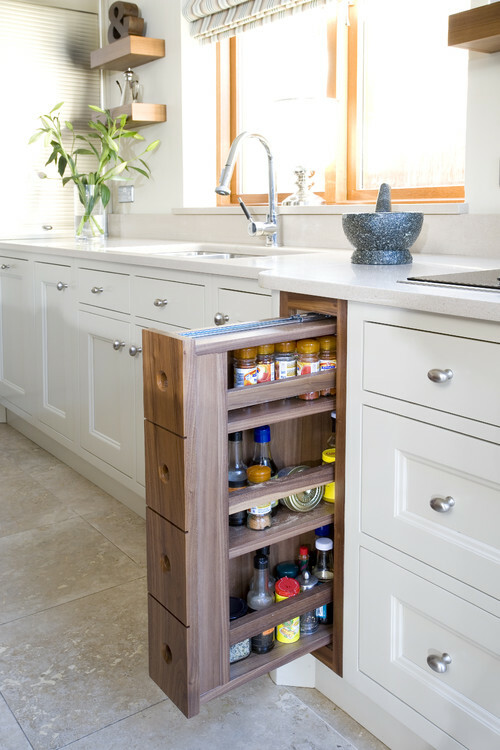 We taught you the basics in Part I of our kitchen cabinet guide – now it’s time for Part II, and this is the fun part! 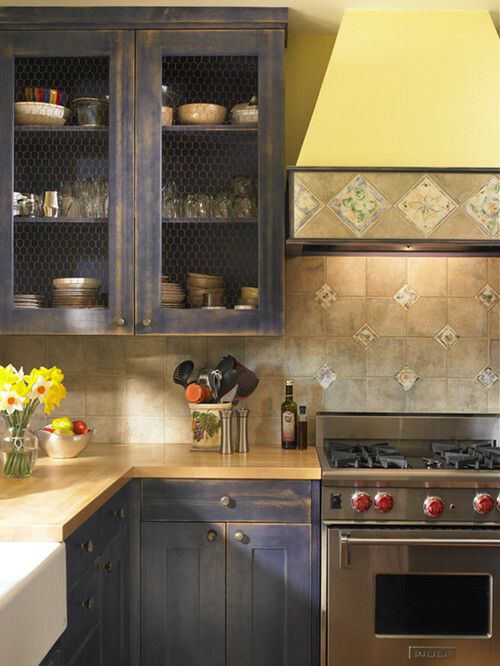 Now that you’ve chosen your cabinet types, layout, and door type, you’re ready to make more design-oriented decisions (and some practical ones, too). Your next choice is the cabinet material. 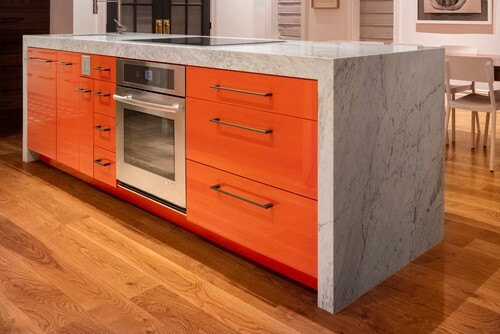 For the actual box material, a well-constructed cabinet should preferably be made of plywood or solid wood, but some less expensive options like particleboard and Medium Density Fiberboard (MDF) are acceptable but will not last as long. 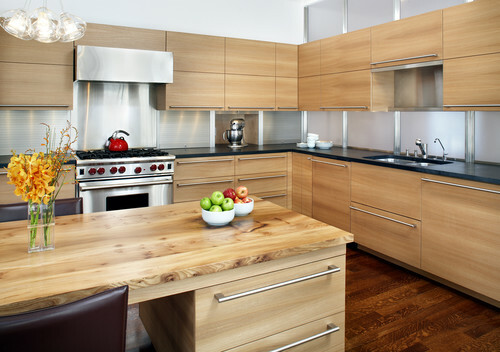 Plywood is strong engineered wood designed to withstand heat and moisture better than solid wood. 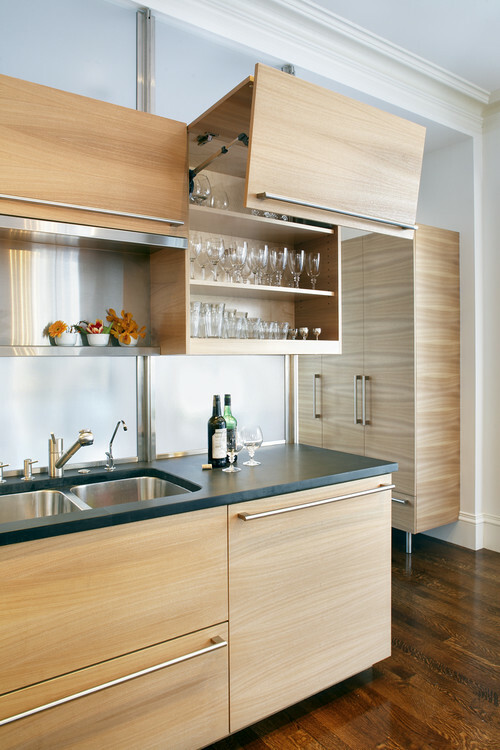 Higher-end cabinetry and shelving is typically made of furniture-grade plywood. Particleboard is sheets of wood chips or shavings bound with resin. 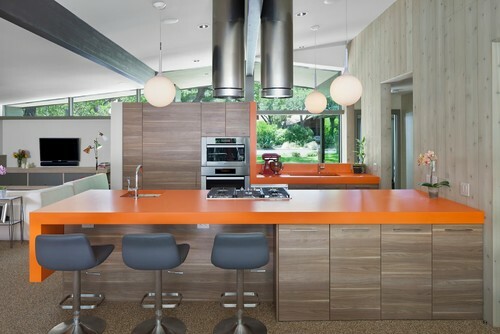 It’s stable and a popular choice in stock cabinetry, where it’s often covered with laminate or wood veneer. It is generally resistant to humidity-induced warping but must be sealed properly to withstand moisture. 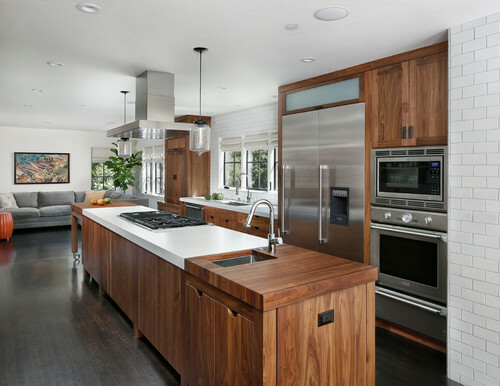 MDF is a dense engineered wood typically used in mid-priced cabinetry. It is strong and durable, making it a popular yet budget-friendly choice. 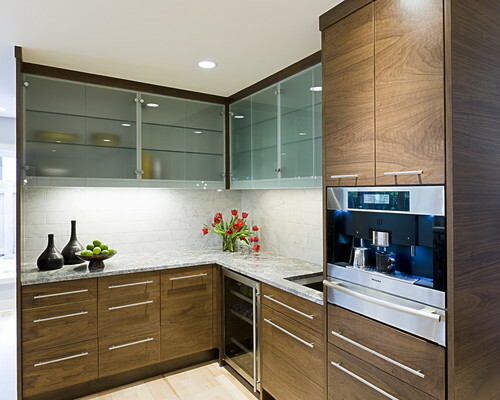 Wood cabinets can be customized with various finishes for visual interest. 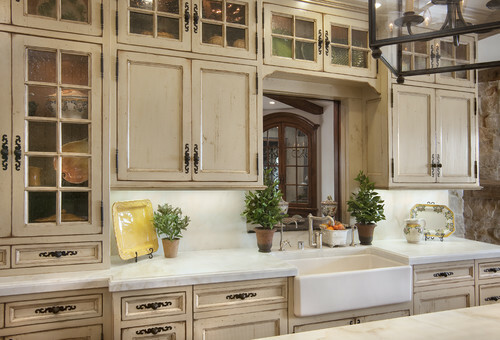 Standard wood finishes include cherry, oak, maple, hickory, pine, and birch; cabinets may be painted or glazed in virtually any color; and special techniques like heirlooming and distressing can make brand-new cabinetry look weathered. 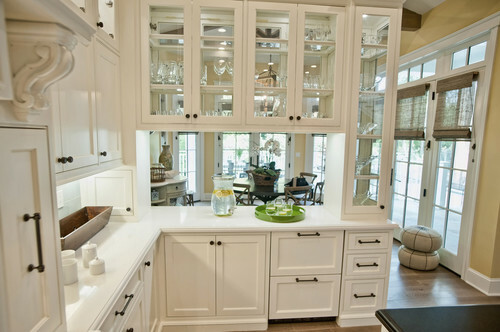 Next, consider the cabinet hardware. 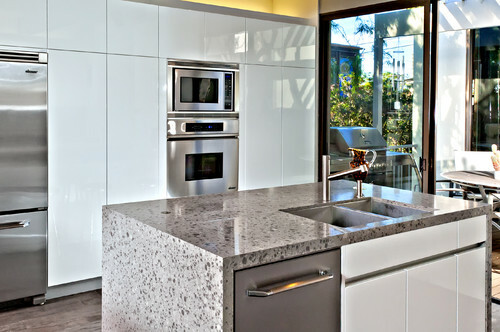 Drawer and cabinet pulls, knobs, and hinges are available in practically every material – metal, plastic, stone, glass, crystal, enamel, even polyester – as well as shape and color. 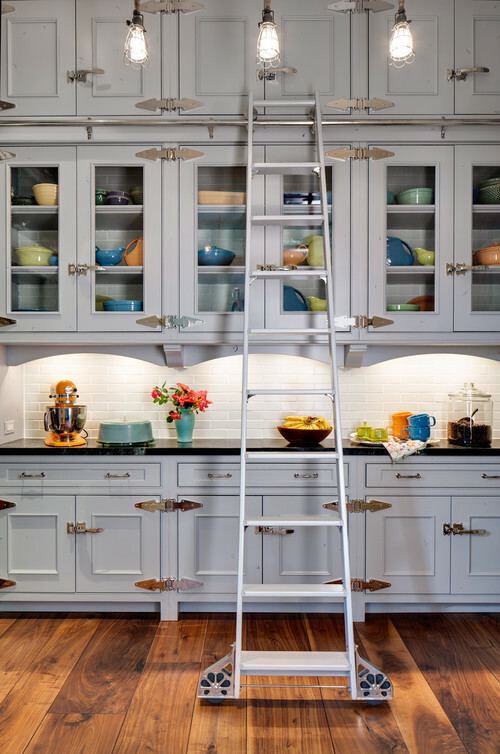 The right hardware has the potential to transform an entire kitchen, so even if a complete overhaul is beyond the budget, new hardware may be the perfect pick-me-up for your cabinetry. 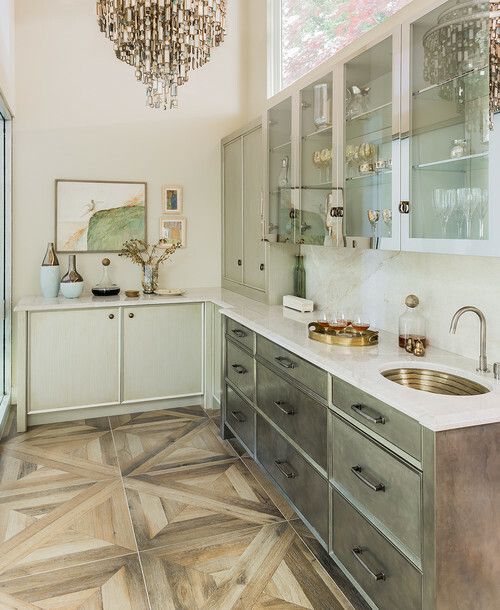 Hardware is largely a matter of preference, though long, sleek pulls are typically considered modern (especially when installed horizontally) while knobs, bucket pulls, and ornate styles are generally found in more traditional kitchens. 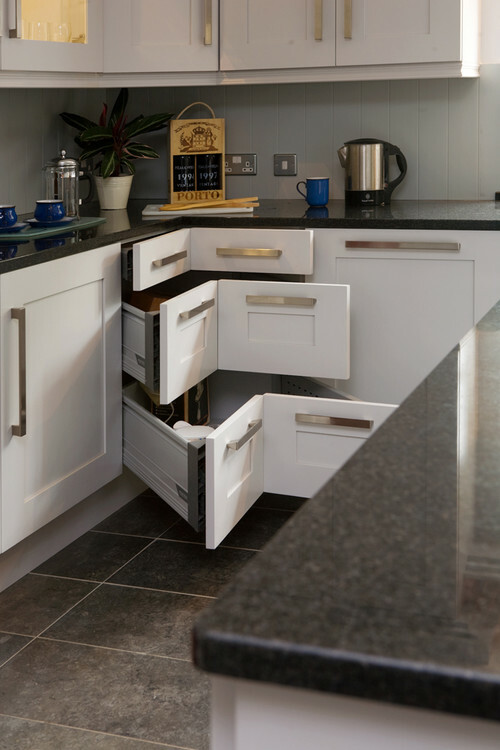 One important consideration for practicality’s sake is soft-closing hinges on doors and drawers. Soft closers prevent doors and drawers from slamming, allowing them to close gradually and avoiding unnecessary noise, wear and tear, and potential finger injuries. 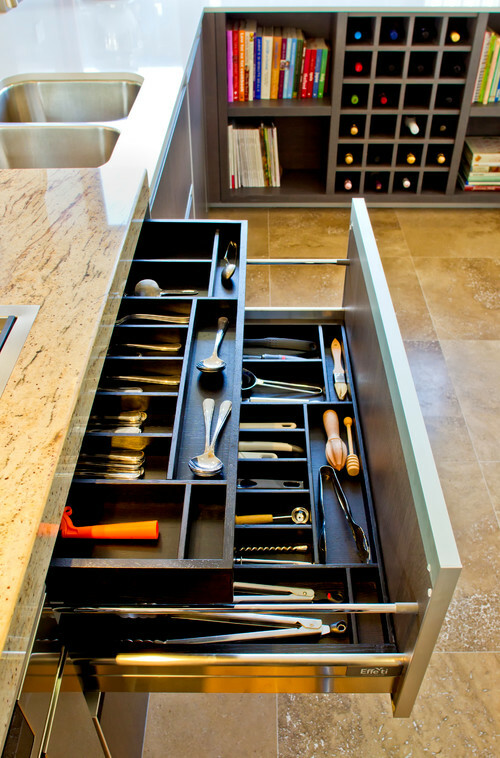 Special add-ons are not necessary to kitchen cabinetry but definitely make life easier (or at least prettier). 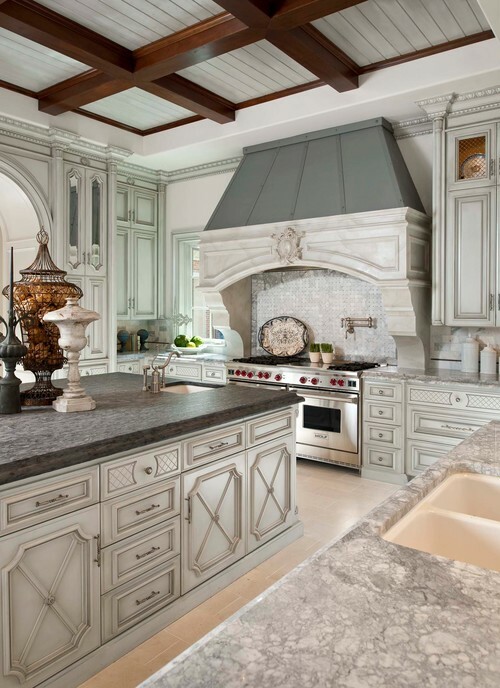 Decorative additions may include moldings, columns, feet, onlays, or panels for a more attractive kitchen. 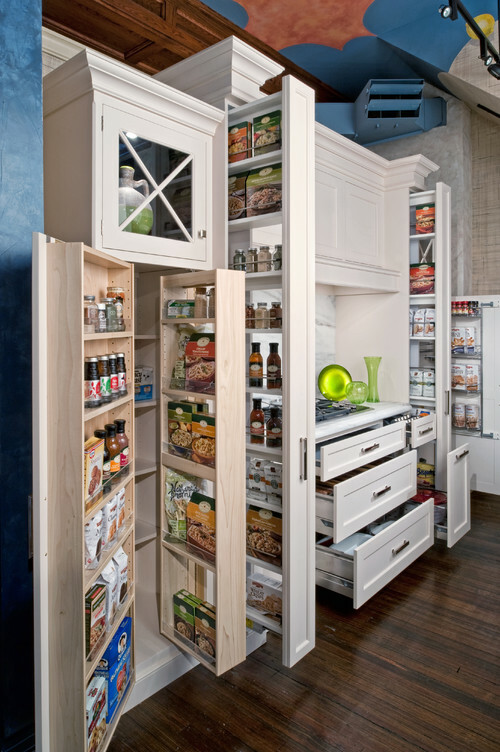 Custom drawer and cabinet organizers, pull-outs, dividers and special door styles – like corner doors and lift-up doors – help keep the kitchen organized and running smoothly. 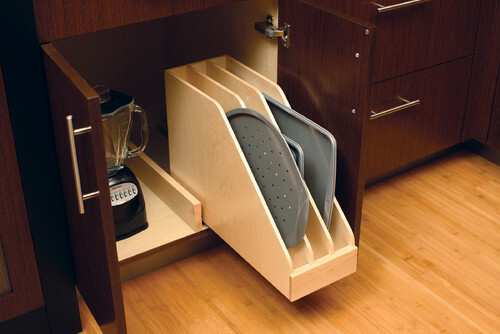 These additions can double your cabinet space – and who doesn’t need more space? 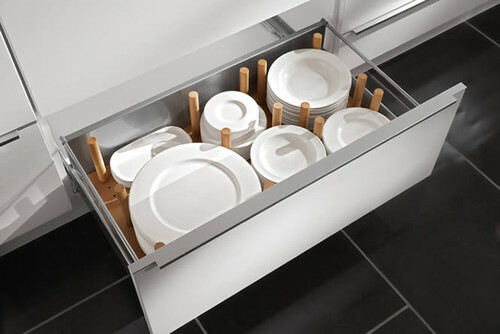 – and ensure that every drawer is used to its full capacity. 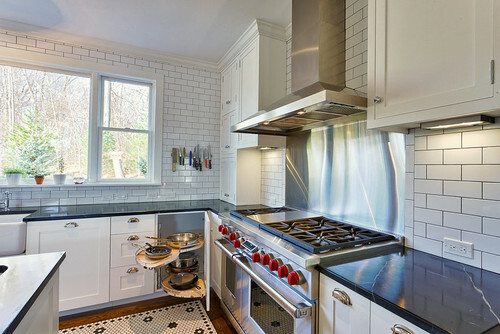 Make that kitchen work hard! 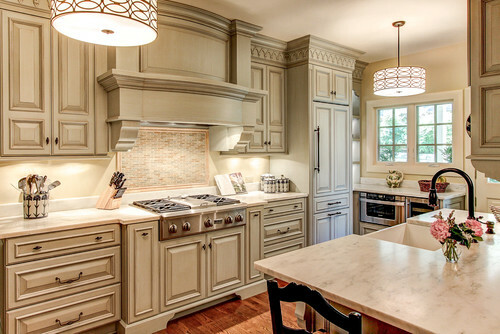 Kitchen by The Hammer & Nail, Inc.
We hope we’ve demystified the process of choosing kitchen cabinets for you. Good luck with your remodel! 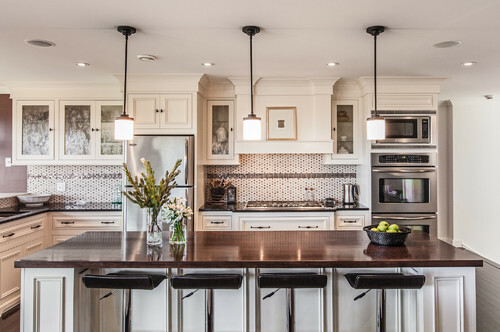 Definitely, your cabinets form the backbone of your kitchen and therefore you need to consider different layouts and looks. 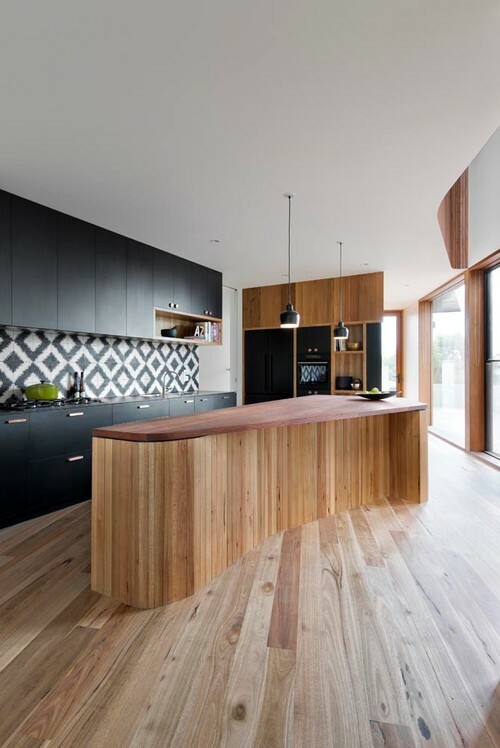 While selecting, your first criteria needs to be the functionality and then the type of hardwood you choose. 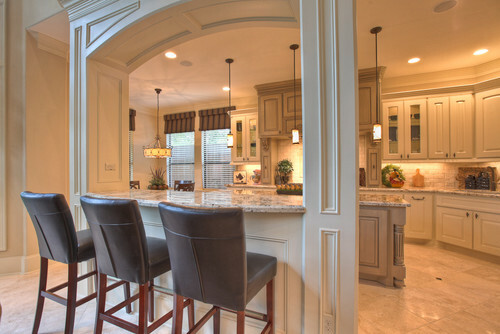 Also make sure you pick a prefect door style for your cabinets. 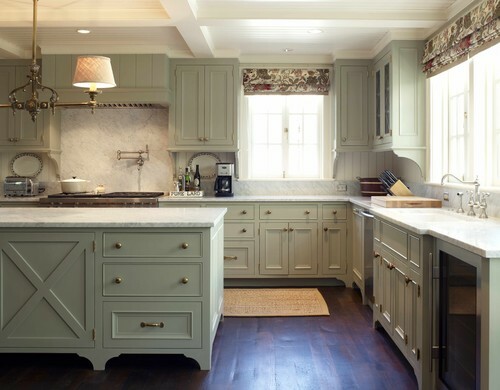 For those who want to stick with something more traditional, the timeless Shaker style is something great.